Last night 2 of my BFF’s and I went out for our monthly dinner at Marcella’s. Marcella’s is one of the many restaurants in the Cameron Mitchell Restaurant group. We try to choose new places or ones that we don’t dine at frequently for our monthly dinners. It is a great way to stay connected to each other; life is too short to not spend good times with your friends. Upon arriving, I asked the hostess if they had a printed gluten-free menu or if the manager would be able to go over the menu with me. 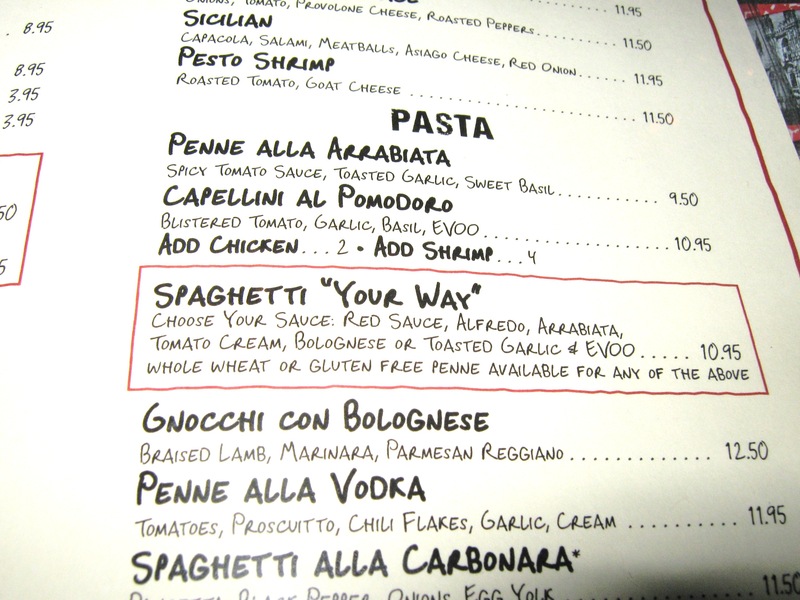 While they didn’t have a gluten-free menu, the did have gluten-free pasta!!! WHAT? OMG! I have never eaten in a restaurant that serves gluten-free pasta. I almost fainted right there and think that I did actually jump up & down and maybe even let out a little shriek. I hope that I didn’t scare the hostess too much! LOL! I looked at the menu for a long time. I couldn’t decide what to have. I was told that they could pretty much modify anything on the menu to be gluten-free (with the exception of the breads & fried stuff, obviously). There were so many choices, which is odd, because normally there are only a handful of things that are gluten-free on the menu. The pasta is penne style and is also soy-free. I wanted to eat pasta because I had never had pasta out since going gluten-free, but the Seafood Risotto was calling my name. Additionally, I had just had a tuna pasta creation for lunch because I was not expecting to have pasta as an option for dinner. 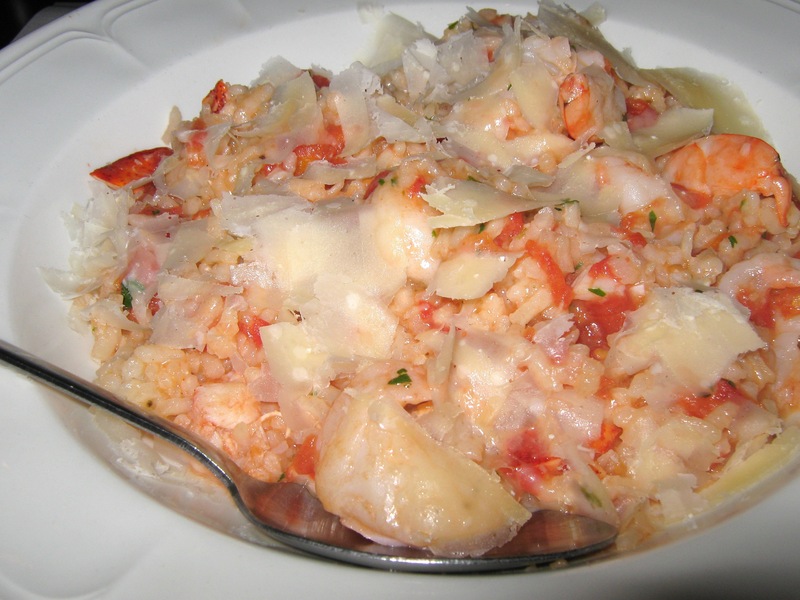 I settled on the Seafood Risotto. For an appetizer we ordered the prosciutto & melon and then a chopped salad, too. 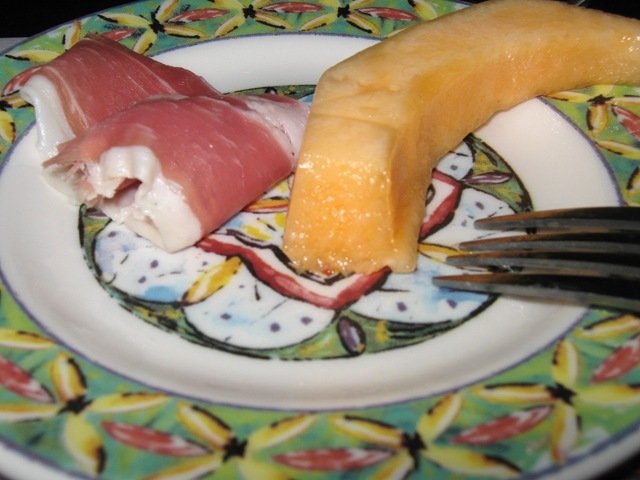 The melon was perfect…crisp & flavorful and the proscuitto was the perfect pairing. 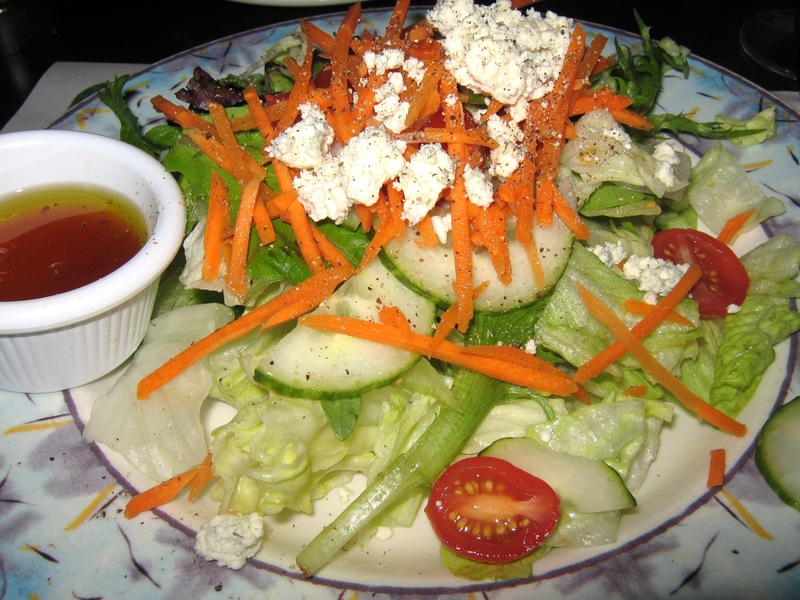 The salad was made up of mixed greens, grape tomatoes, cucumbers, carrots, gorgonzola & a yummy house vinaigrette. Do you see the big, succulent pieces of shrimp & lobster? Dessert offerings for the gluten-free crowd were a few flavors of gelato, including pistachio and chocolate. Unfortunately I was too full to enjoy any. Yes, I, Kim was too full. That is not something that occurs frequently with me. LOL! I did finish all of my salad and most of that large bowl of risotto, though. Marcella’s is definitely a place that I will be dining at frequently. I can’t wait to go back now! 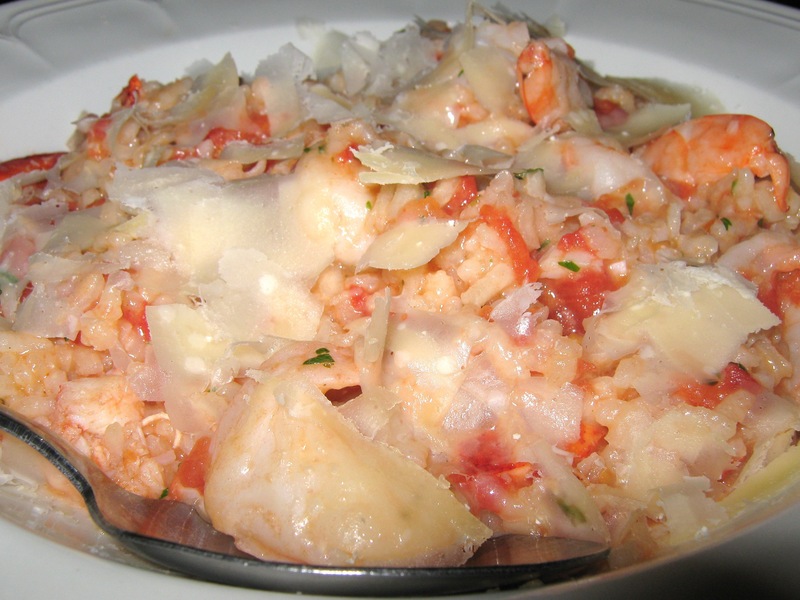 Only problem is that I want to have that risotto again, but I also want to try a bunch of other stuff!